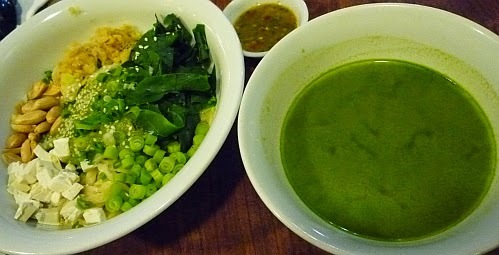 I noticed a place selling Hakka Lei Char (green vegetables tea) Pan Mee - MYR12.90 so I ordered it to try. I really like it because I like the taste of the Thai basil, mint and coriander among many other herbs. Why is there an exercise book here? So cute with a bicycle and environmental friendly since it is made from recycled material. Noodle Shack at Ikano. Available in One Utama too. Last time I had it was with my better half, she didn't like it coz some places can make it quite bitter when they cook it and that preparation was quite intense. There's a lot of nuts inside too but that's why I like it too. 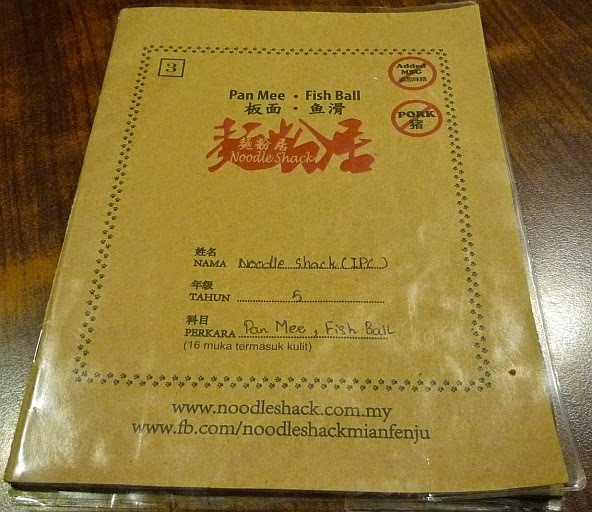 Oh, I've walked past Noodle Shack in Ikano a lot of times but never tried their lei cha pan mee. I've never heard of such a thing! Pan mee with lei cha, I'll convince my dear to go coz she likes pan mee and I like lei cha. Haha. 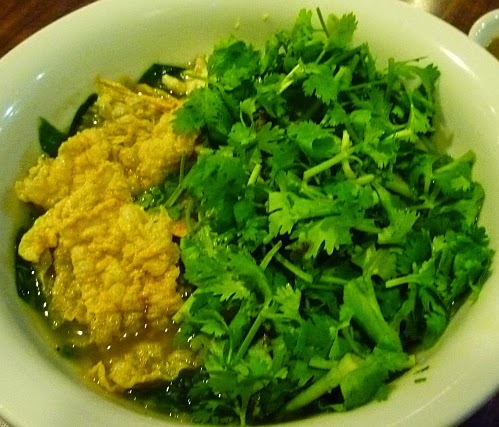 It is a new dish at Noodle Shack. Yes it is new. You like lei cha too! Yay! Not many people can drink the green vege and herbs tea. Are you working night shift? Call me jakun, I've never eaten lei char.. 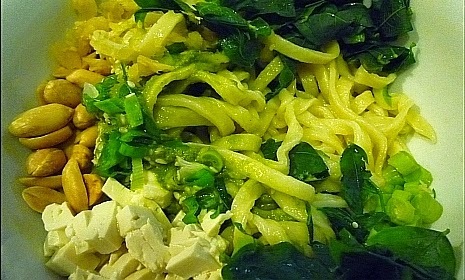 I know whats that, but just never eaten it.. Will it 'chau cheng' (smell of greens only) ? do you like the taste of Thai basil ? Since you don't eat vegetables at all most likely you won't like this. Ummm...no, thank you. Tried once and that was it! Not a fan of Thai basil I suppose. I like Lei Char too. I've tried a few versions with brown rice that I really liked. Yay! I like them with brown rice too. I really wonder where and what you eat for lunch during week days since you don't eat at food court. You also don't like the taste of Thai basil? 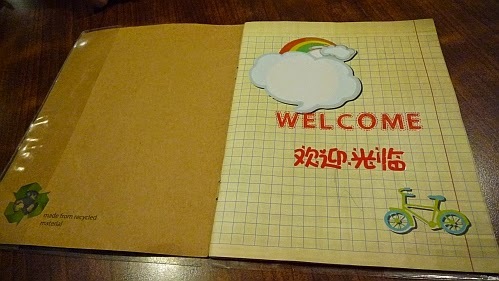 I thought they handmade the menu using exercise book, but it seems like the cover is specially printed. Cool! Made from recycled paper = really cool. 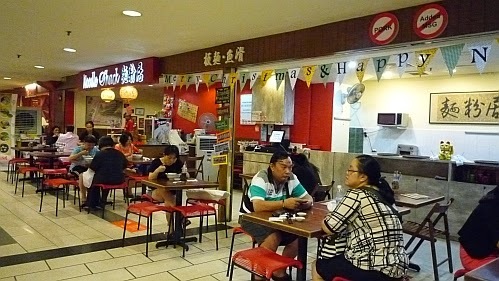 So you enjoyed Hakka lui cha? Good. Good detox and high fiber. An aunt used to cook almost every Sunday when I were younger and we always go to her house to enjoy her lui cha. But she no longer cook it. I like to add lot of grounded nuts. Yes, very much. Have you cook this lui cha before since your aunt no longer cooks this? Maybe the one you ate isn't nice for a lei cha. but its new to me that hakka lei cha pan mee! Not fond of Thai basil I guess. Yes, it is tasty. The green is all natural. Just look at the coriander leaves, also naturally green. First of all, LOVE the cute little menu :D One of the things I love about traveling is being surprised (hopefully most often in a good way! 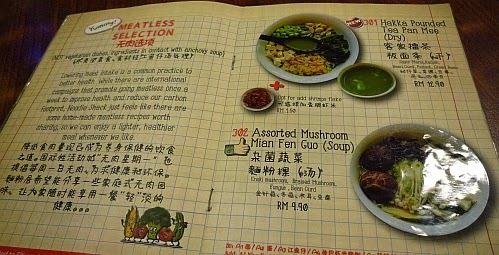 ), and that menu would have really made me smile. Secondly, I think that FOOD would have made me smile!! Oh wow, looks delicious. Thanks for sharing! The green colour is all natural. No colouring at all. I love lei cha with rice, have not eaten with noodles. Goes well with noodles too.